The Republic of Kiribati, an island nation in the Pacific Ocean, is one of the most remote places on Earth from industrial civilization. And at the same time, it will be one of the first to disappear from the surface of the planet due to this same civilization. 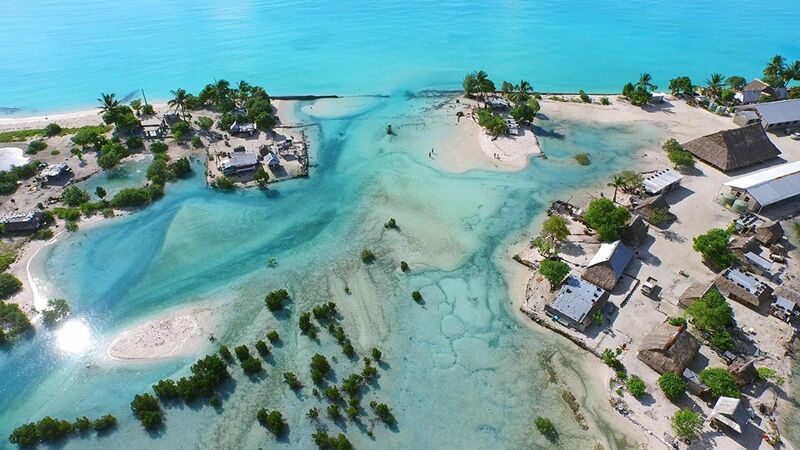 If global warming continues at its current rate, Kiribati will be under water within a few years. With its stunning cinematography, this film by anthropologist Matthieu Rytz shows how the life of the inhabitants of this island paradise has changed in recent years, as well as the efforts of Kiribati’s former president, Anote Tong, who tried (including at a series of UN climate summits) to interest the international community in the fate of his nation.